I've mentioned many times that I consider Richmond a second home. Most of my best friends live in this little city, I visit countless times a year, and I love the vibe of everything. 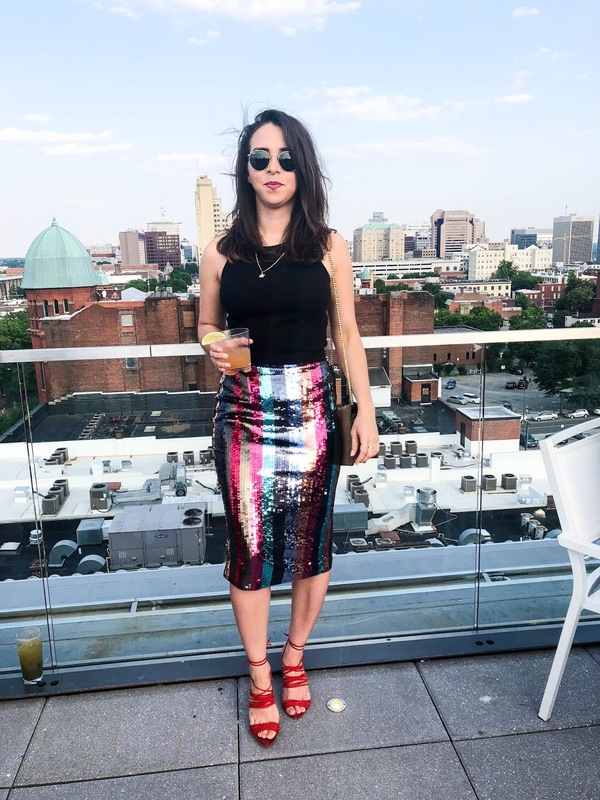 During my friends' wedding weekend a few weeks ago, I finally got the chance to stop by The Quirk hotel which has been on my "must see" list for awhile. All of these photos were taken from the roof. You can see most of the city from here and the breeze was perfectly paired with a great cocktail to make it the perfect combination. My favorite part of weddings is getting to dress-up and experimenting with fun new outfits I may not wear otherwise. I ordered this skirt on the whim, hoping it would "fit" into the vibe of the rehearsal venue which it did. I can say that I was more than pleasantly surprised. 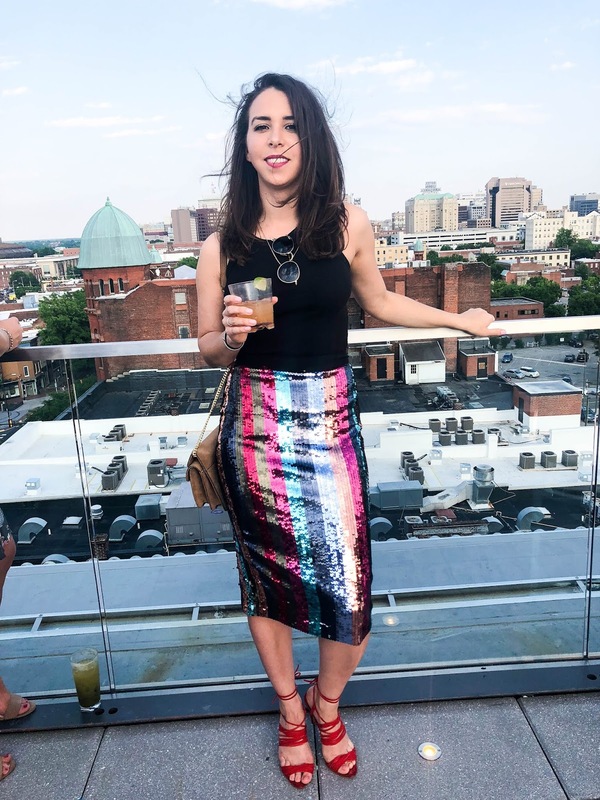 The sequins weren't itchy at all and the skirt had the perfect amount of stretch to wear all night long. I'm only 5'4" so I sometimes get nervous that a midi length skirt will be a little too long. I can say that this skirt fell in the exact right place. 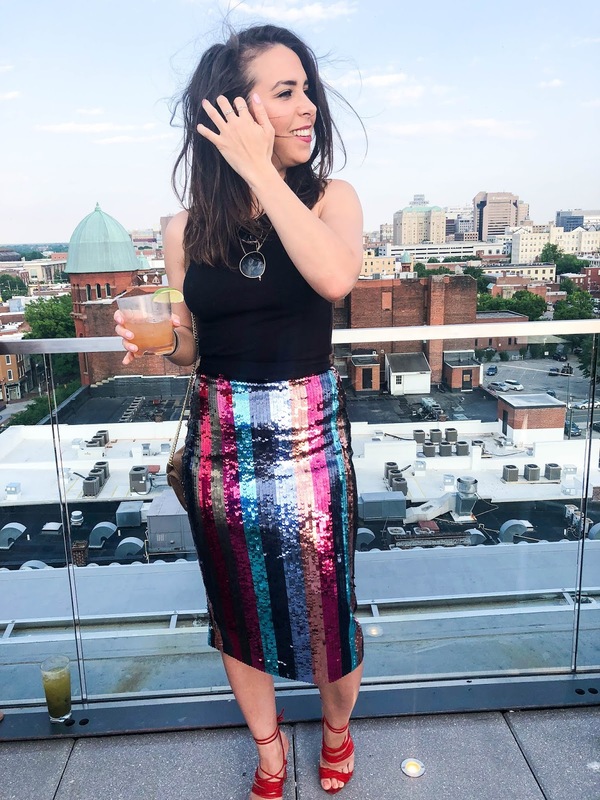 I was completely obsessed with this skirt and really wanted did not want to return it at all and will totally be renting it again in the future.